Tesla Motors together with the start of Model S deliveries in Japan, launched its first two Superchargers in Japan – with 2 and with 4 stalls. The first is at Hyatt hotel, while the second one is at a service center. In total, there are already 17 Superchargers in Asia. When we look at the installation plan up to the end of 2014 and for 2015, we can see that number of red dots is substantial. Tesla Motors for sure will not rely on CHAdeMO chargers, since the plan provides 20 locations operational in the next 1.5 years in Japan. 4 Comments on "2 Tesla Superchargers Now Online In Japan"
I know India is not on Radar right now for Tesla but can we expect Model S in 2015?? Luxury vehicle market is now 35000+ vehicles per year in India. Indeed, and Tesla could well steel about 1/3 market share from Indian luxury car markets with S and X. This is good reminder that Tesla has scratched merely the surface of global luxury car markets. Additionally, now seeing 10+ Superchargers in China. It wasn’t long ago the first Chineese SC was installed. The map also shows that a Supercharger will be within range to 94% of Chinese population in 2015! (over half of China is sparsely populated). 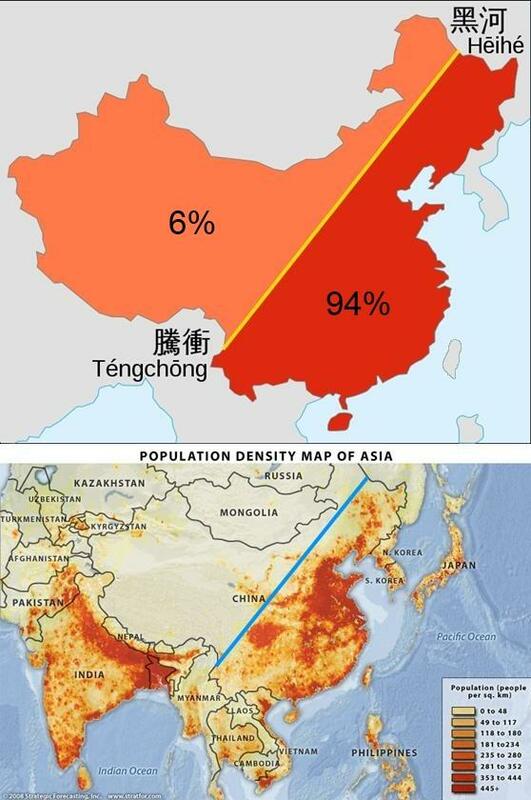 94% of the Chinese population lives east of this line.